The following is a guest post by Jeff Smedley from Prince George SAR. 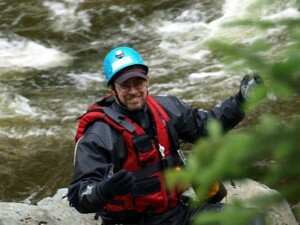 Jeff is a very well respected member of the BC SAR community, and teaches SAR Management; he was one of my instructors. This post originally appeared on Jeff’s Facebook feed, and I asked him if he would like me to re-post it here. Jef agreed. I notice that many of us post on Facebook our successes while searching. The emotional high of finding someone alive and bringing them home is like no other. Whether its a searching through the bush or racing down a trail to someone injured. Being there to help is the best feeling ever. Yes it is addicting. Slugging through the bush, often in crappy conditions, takes its toll on one both physically and emotionally. You hope that you, or your team mates or anybody, are going to find who you are looking for. You push yourself physically beyond any other activity that you do. Hoping for that clue, foot print or any thing that will lead you to that lost person. Everything is on hold. Your work, your kids sports, your Christmas dinner. We pour our hearts and souls into the search or rescue for one reason. To bring that person home safe to their loved ones. It may be 5 or 6 hours or it may be days. it doesn’t matter, we each give everything we can. I was told on this last search by one of the family, “Oh good, Jeff is coming. We are going to be okay.” We become attached. We can’t help it. Its natural. The realization that we are not successful or we have not been able to return the family’s loved one to them safe and sound. We each reach down inside and grab the strength to finish the job. Packing up our gear, clean and prepping for the next call. And then we too start grieving. Each of us do this in a different way. Most of us need to unwind and talk to our loved one or friends. Talking about the highs and lows of the search help us to work through what we have done. We fear failure. We feel helpless when things have not been successful. We think through the events of the past operation rationalizing, 2nd guessing. In the end we realize that we, and our team have done their best. So, we steel ourselves and are ready to respond again. We know that the next call could be a good one or it could be another tough one. It doesn’t matter we are ready again. Typically we see no or very little comments on Facebook after a search that has not gone the way we were hoping for. Is this because we are afraid to hurt someone’s feeling as our comments go public? Is this because we are afraid to show our feelings? I don’t have an answer. All I know is that we all feel the loss. It is the silence that I am afraid of. Each of us need to talk and let it out. I am grateful for my family and friends who have just sat and listened while I prattled on. I ask each of you SAR folks not to let silence be your answer to to a bad call. As for the friends and family of us SAR folk, thanks for listening. Thanks Jeff for bringing this important subject forward. The suspension of a search without the subject being found is extremely difficult for everyone, for many responders much more difficult then locating and recovering human remains. Although in some cases we may suspect that the subject was not actually in the search area, due to abduction or other reasons, the lack of closure has a impact on people with the personal drive to find and help those in need. Is a search where the subject that is not found ‘unsuccessful’? I don’t believe it is, the search can be successful if it excludes the likelihood of the subject being in the area so the focus can shift to other possibilities. However, being careful with language can sometimes seem to be overly sensitive and cause avoidance in open discussion of the response. Perhaps we need to make it less about avoiding the discussion, but still be sensitive about the impact that discussion may have on some people? I mentioned the ‘Next (or last) Tree Syndrome’ before, which is coined from the remarks from a number of SAR volunteers who felt if only they kept looking the subject might have been found ‘around the next tree’. This syndrome (for lack of a better term) doesn’t just manifest itself after a search is suspended, volunteers who need to return home after 3-4 days of searching before it concludes often voice the same reluctance to leave. Unfortunately sometimes those volunteers are never informed of the conclusion of the response, something we need to change. i too recall the searches where someone was not found, much more readlly from memory, than the searches that conclude with someone found. The conclusion is like a successful project, its done, complete, finished. When someone is not found, it feels like a job left incomplete. Often a SAR group, will quasi continue to search, by holding purposeful practice in the same geographic area, probably moreso to feed an emotional desire to do more, than the off chance we may find some clue previously missed. For medical rescues, we are often just a cog in the recovery process, yet rarely do we find out how the subject fared afterwards Did we do good/ could we have done things better in our treatment during the response? Rarely do we find out. Thanks for the thoughtful article. It is often difficult when the subject is found dead or not found at all. I know some of those situations stay with us for a long time and we keep going through all sorts of possibilities and second guessing. Some of the finds where the person is found dead I have not found to be difficult. In cases where it was an older person out in the woods doing something they love in a place they love (hunting for example) and it seems that they went quickly I think of that as a good death. I feel glad to be part of the team bringing closure to the family. Other situations sure are hard though. When there is no find and the ocean is involved and we’ve been doing shoreline searches I personally find it isn’t as hard when the search is called off as when it is a land search. The ocean is so huge and many who drown at sea are never found. The land ones I find harder to let go of – I guess it’s that “next tree” syndrome mentioned in Jim’s comment. I think it is important to talk about these no find searches with our fellow searchers and our families. However, if it is an active police investigation – as a missing persons case is, we can’t discuss it on facebook or other public / semi- public venues. We tend to hear how the subjects we find are doing after the search / rescue. Nova Scotia is a small province with lots of overlapping networks of work, community and family – so maybe we get more follow-up information than GSAR volunteers in larger provinces.